I've had the Crochet French Press Slipper pattern set aside for quite some time now, waiting on just the right shade of Malabrigo Worsted to come my way. I made the size 7/8 and a used a 5.5mm hook(not the 5mm they recommended) - they fit my 8 1/2 foot perfectly! 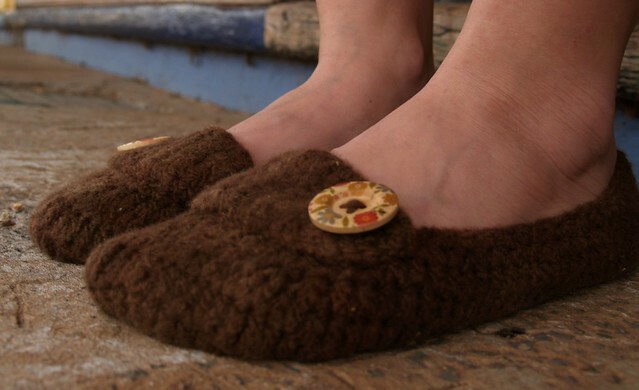 I didn't even use 1/2 a 100g skein for my pair of slippers - now that's value! Those are ADORABLE. I need some size 12! My feet are gigantic. Thanks for sharing your footwear with us! Oh they look fantastic. 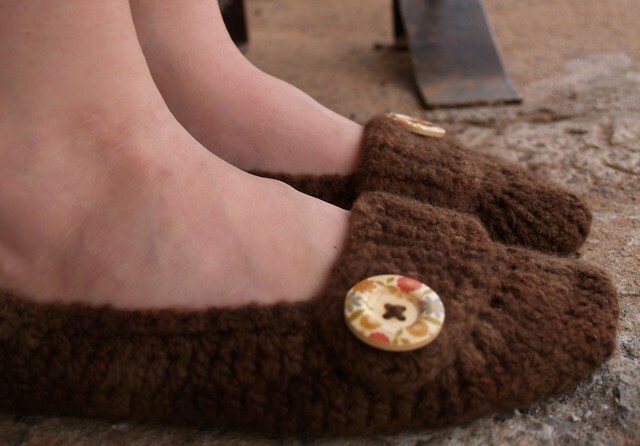 I have the pattern for felted slippers that you knit but still havent made any as yet. I love the color that you chose too. 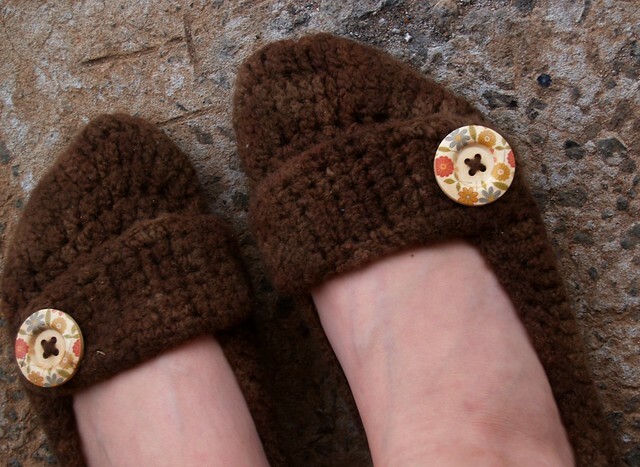 Very cute and practical at the same time, they look like lovely lounging around shoes. I only live in thongs up here, but they would make a great gift for a dear friend. I want a pair too. They are so adorable and yes the color suits them perfectly. Just love the button detail. They sure look super cute. Good to hear they are comfy too. Very good value from that little yarn. These are supercute! I've been so slack with anything yarny lately...what a shame too as it's starting to feel like spring some days!